The minimum age is 14 and the Juniors (14-17) are thought in separate classes of maximum 10 students, and students under 16 can only choose full-day General English Courses (28 lessons per week). London Central, London Highgate and Vancouver can take 4 (or more) weeks of IELTS preparation with weekly start dates (or set dates in Vancouver). The course offers 20 lessons per week in the mornings of IELTS preparation with the option to add 8 afternoon General English lessons per week. This course is designed to give students the key skills for future successful study at University level in the UK, with morning lessons of General English, and afternoon lessons of English for Academic Purposes, aimed at developing essential reading, writing and presentational skills necessary for academic life in the UK. The afternoon lessons in English for University Studies can also be combined with an IELTS preparation or Cambridge English examination course of 20 morning lessons per week for a more academic experience. 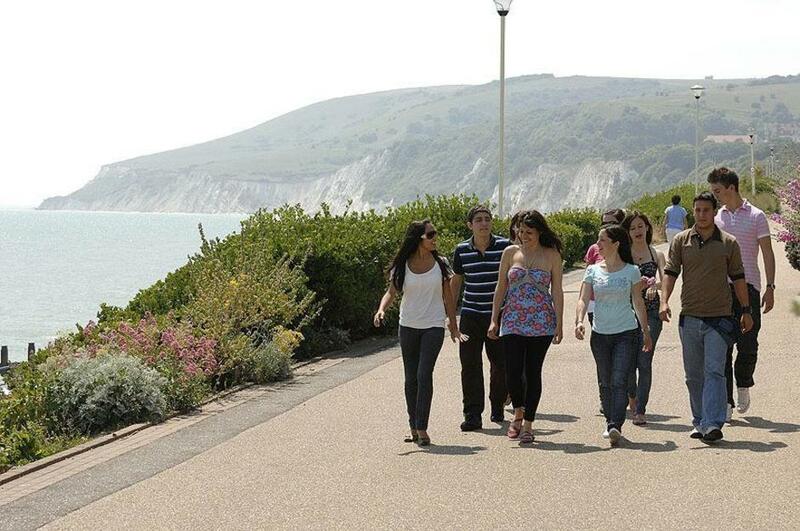 The time I spend in Eastbourne is unforgettable. I have spend two months in St Giles, met with great people, learnt British culture and English in the best place. We had great teachers that always make the class interesting and fun. My speaking improved so well, people always ask me where i learnt English since it is so clear and fluent.